In 2008 Patricia A. Wright worked in Bronx County as an Assistant District Attorney where she served until 2012. Forged by fire in her time there, she single handedly prosecuted over 600 cases and served the residents of Bronx County with pride. She came out of this experience having a breadth of knowledge and skill most seasoned attorneys never get. Her goal as an A.D.A. was to make the streets safer and to make the lives of the next generation better. She found, however, that prosecution was not the only way to improve the lives of her fellow New Yorkers. Her experience on the other side of the aisle made a valuable impact on how she thought about our legal system. Injustice comes from within the system as well as from the outside. Ms. Wright struck out on her own to address this issue and to make sure that the she could help the citizens of New York have a fair and successful shot at traversing the often complex criminal justice system. Freedom should include the ability to have quality representation. Freedom is not a privilege. Freedom is a right. Ms. Wright believes in giving back to the community. She served from 2008 to 2010 as a New York City Mentor advising young women with interests in professional careers. She also served as a youth leader in a United Nations Non-Governmental Organization focused on world peace and tolerance. Ms. Wright received her bachelor’s degree from Fordham University in Bronx, New York in Communications and received her Master’s Degree in sociology with a concentration in criminal justice, also at Fordham. During her studies she researched the revolving door, or recidivism rates, of African American women in the criminal justice system and pondered what she could do to help change this staggering trend. It was here that she decided that being an academic would not bring about the type of reform she desired. After she graduated she decided that law school was the next logical step. After receiving her graduate degree she was admitted to Touro Law Center, then in Huntington, New York. While in attendance at Touro Law Center, she interned at the Brooklyn DA’s office and the Suffolk County’s DA’s office in order to explore the concept of prosecutorial discretion. After graduating from law school, she decided that in order to best address the recidivism issue she should work within the prosecutor’s office. Here, she believed she would be able to exercise the ability to determine whether prosecution is necessary on a case by case basis. She landed a job at the Bronx District Attorneys office and quickly discovered that she did not have the discretion she desired, rather she was asked to follow certain policies and directives. She learned that there is no real discretion for an Assistant District Attorney, but that the power lies in the head of the office. 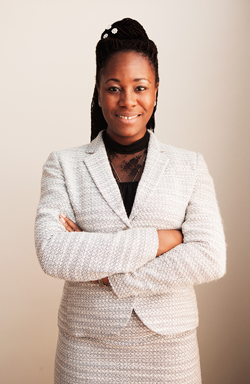 Ms. Wright, in addition to practicing criminal law, currently practices landlord tenant law, employment discrimination and wills and trusts among other areas. In 2012, Ms. Wright made the decision to continue to serve New York on her own and has expanded her practice to more than just criminal law. Patricia Wright, Esq. 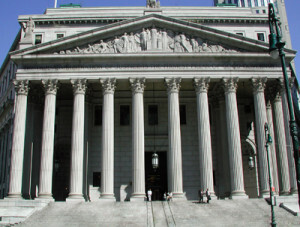 is the right attorney for your legal needs.